We are at the end of our response to Hurricane Florence. I am continually amazed at how the core values are so well emulated by the members of NCWG and all of our friends in our surrounding Wings. Thanks to your support, many people were assisted in numerous ways. Several of the mission taskings were not normally what we would think to consider as missions CAP trains to provide. However, our resources and the skillset of our training allowed us to complete these taskings for the State and for FEMA. Some of the types of support we provided have been evolving for years. The first Points of Distribution (POD) mission that included NCWG was during Irene. We have since learned a lot from Hurricane Matthew. During Hurricane Florence, NC Wing and other Wings from MER and SER had over 140 people serving at one POD site alone while also supporting two other sites, the Resource Coordination Center (RCC) East, RCC Central, and the Emergency Operations Center (EOC). Transportation by air of nurses from Ocean Isle to Kinston so that they could return to Kentucky. The Incident Command Post (ICP) in Burlington was filled with personnel from 10 Sep to 26 Sep 2018 with a limited staff for the first four days and a full staff until we shut it down last week. We had daily changes of ICP staff when able. Some of our Ground and Communications staff talked the PODS teams travelling to sites and delivery teams around closed roads through areas where the road status was changing at an hourly rate. They located places for them to stay during the night when they were unable to make it into the Wilmington areas as the road conditions changed. During this time, Lt Col Dennis Bissell served as the EOC Liaison Officer to FEMA and North Carolina Department of Public Service (NCDPS) for taskings for the first week while I took over and completed this role for the second week. Col David Crawford served in the MER Area Command as one of the IC's for the Region. In addition to his work obligations, he pulled night shifts to support the Region (primarily filling requests from NCWG and SCWG). 2nd Lt Patrick Schneider of NC-111 took some amazing photos of our personnel at the PODs site. The talent of a professional photographer to capture the essence of this response is beyond words. Ben Watkins put out a very complimentary write up to the leadership in the North Carolina Department of Public Service (NCDPS). He reported on the specifics of the above actions. He quantified our response with the following tables which I think you will find interesting. 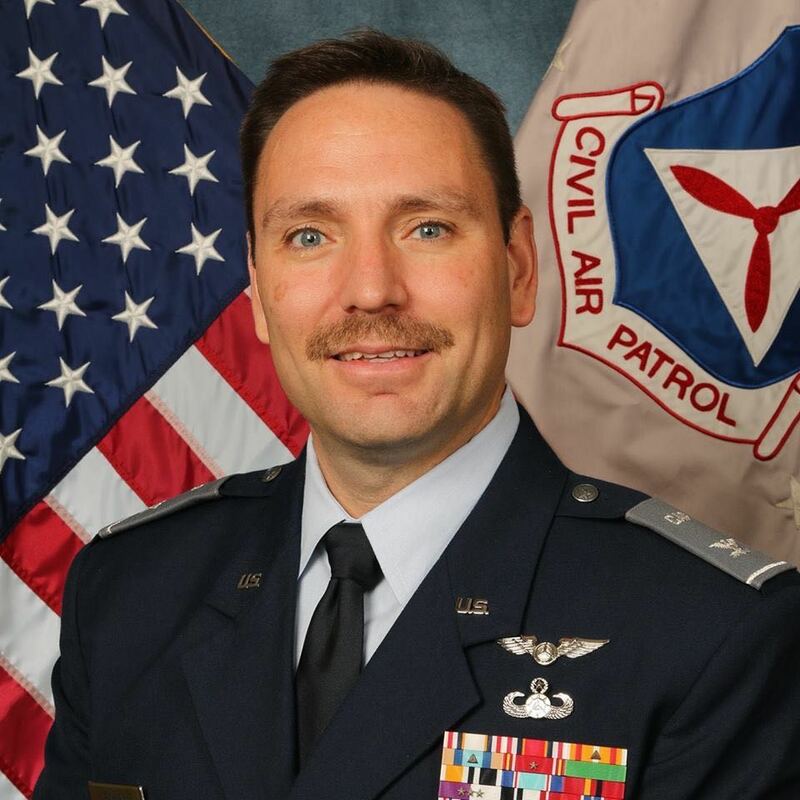 "We are so proud of the efforts of the NC Civil Air Patrol…we know they have the best Wing in the nation and we are grateful to be associated with them..."
We have already started the after action report gathering. You will find different surveys for each mission area (PODs, Mission Base, Aerial Photography, etc) are being created and being sent out for us to learn and become more proficient in our response. Our Director of Emergency Services, Capt Scott Stevens, had many kind comments regarding the growth he has seen since Hurricane Matthew; however, he asks that you please be honest. The nuggets we get from the surveys may make the next mission exhibit excellence and professionalism to the next level. Capt Stevens also elaborated on the thousands of volunteer hours that volunteers from CAP contributed to response in North Carolina alone. We had a lot of support from our surrounding Wings. It is a great credit to Civil Air Patrol that so much work was done by folks from different Wings and that we integrated so well with each other. Thank you for all that you have done. Please take this time to perform the 4 R's (replenish, repair, repack, rest). I am very thankful for each of you, your dedication, and your professionalism throughout this response.